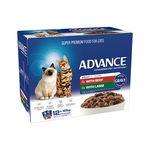 Advanced cats deserve a fitting meal! 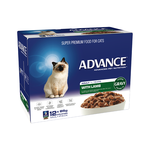 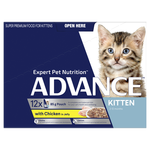 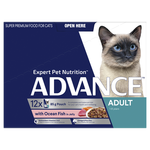 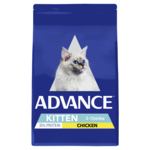 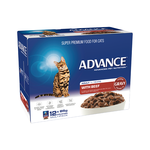 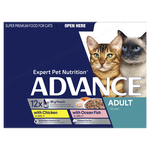 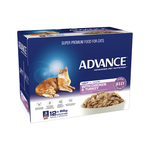 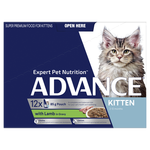 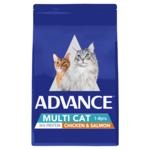 Advance pet food is a super-premium cat food scientifically formulated by the Waltham Centre for Pet Nutrition - a principal authority in pet nutrition science - to produce top-of-the-range nutrition for cats. 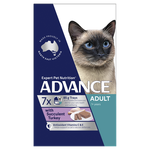 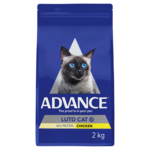 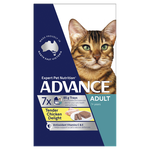 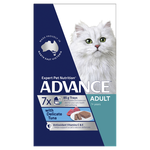 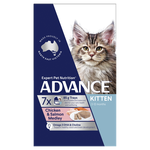 A thoroughly Australian company, Advance food is also made in Australia, specifically for Australian cats. 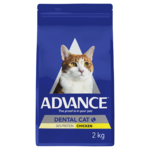 From the humid tropics to the arid outback, the Australian climate invokes a particular lifestyle; Advance has formulated their foods to cater particularly for these conditions, and addresses issues like skin and coat maintenance, dental care and immune support within their plethora of diets. 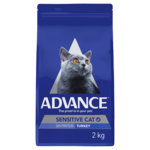 Recently, Advance has asked us: if your cat's health could be seen on a human counterpart, how would that human appear? 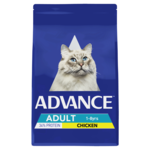 Maybe they have stiff joints, or are carrying a little extra weight for their age. 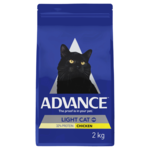 Using this visualisation, you can see that cats require specific foods just as we humans do - and a healthy image means that you're feeding your cat the very best. 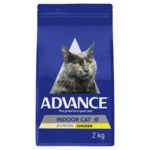 Cats are only small creatures, which is why a 20kg bag of say, Advance's Total Wellbeing dry cat food last 200 feeding days...can you imagine! 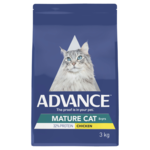 Your cat will not only benefit from real meat, but other nutritional ingredients such as zinc and linoleic acid for skin and coat health, yucca extract to reduce litterbox odour and psyllium husk and slippery elm bark to aid in hairball reduction. 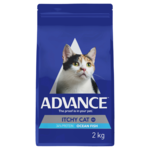 One thing to mention is that some Advance diets may be rather low in moisture - and cats are already prone to kidney issues. 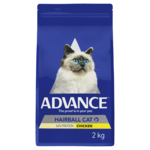 But, not to worry: Advance have a delicious range of wet cat food readily available that you cat or kitten is sure to gobble up! 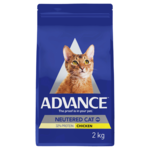 At Pet Circle, we carry a wide range of Advance cat food - you can also enjoy the convenience of free delivery over $29 straight to your door, always at the best price with our price match guarantee. Please see individual products for a listing of ingredients as well as feeding guidelines, to make sure your cat is receiving the correct diet for their lifestyle.